Needlepointing Health Benefits Projects are Fun! The main thing that seems to come up again and again, is that if you are engaged in creative hobbies and using your hands and mind, that it helps keep your mind sharp, happier, and reduce stress. I find the second point to be quite true. I feel lucky to work with customers who truly are almost always nice and patient people. They are often creating projects not for themselves but giving them to others and thinking about others first. This makes our work more rewarding, and also enjoyable, so to our customers, a big THANK YOU! 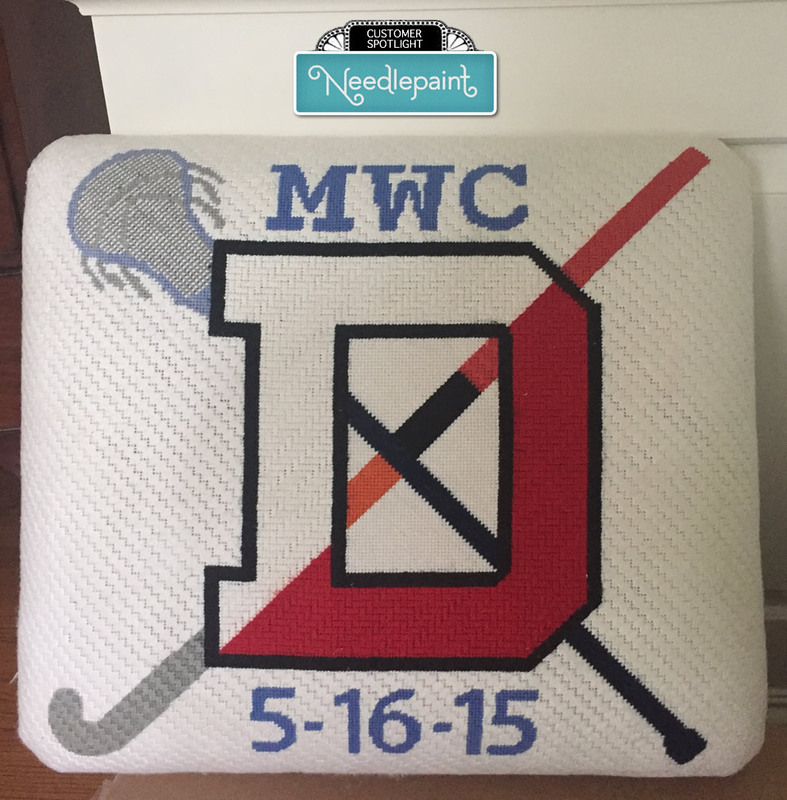 We stitched this custom needlepoint dog pillow for as a gift for Casey! 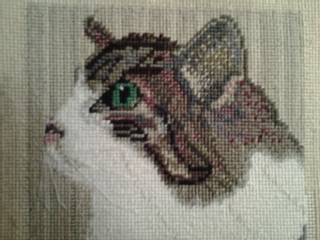 She did the background using the Diagonal Giant Scotch stitch. I love the background stitches on the last two projects. 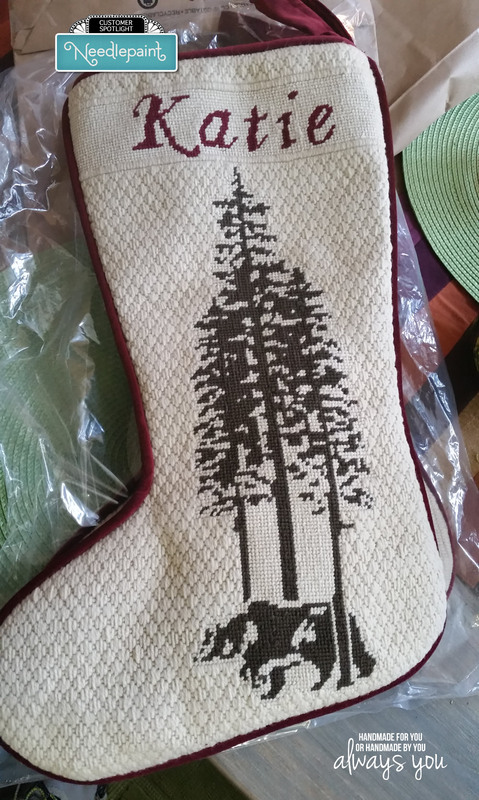 They give extra detail and also make the projects quicker to stitch! We love to help create new designs, so if you are looking to needlepoint something that does not exist anywhere but your mind, please get in touch with us! 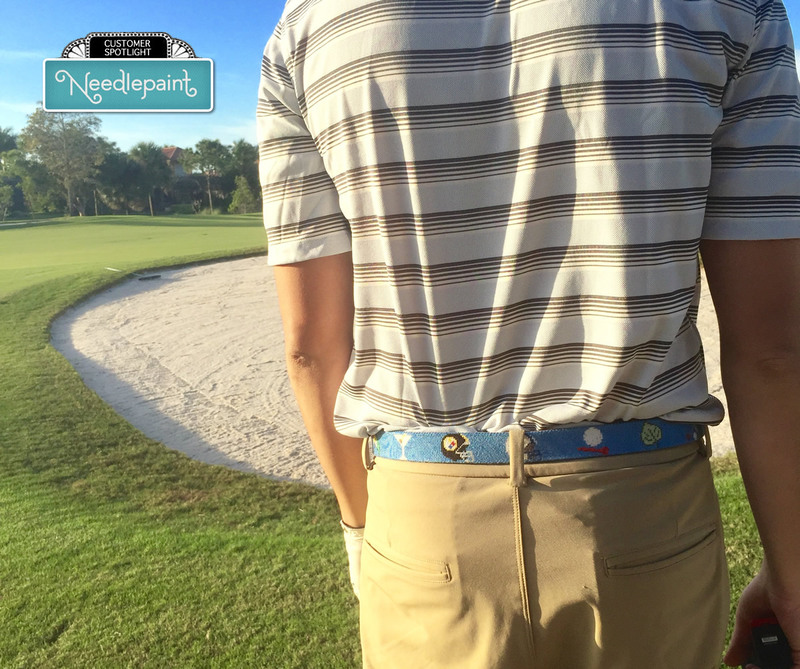 This post features some of the custom needlepoint belts we stitch for customers this year and our customer’s reactions. Photo’s first and below them you can read some of our customer’s reactions and find out why needlepoint belts make great gifts! Here is some of the feedback we received over the holiday season. We’re delighted to help create products that are unique and well loved. 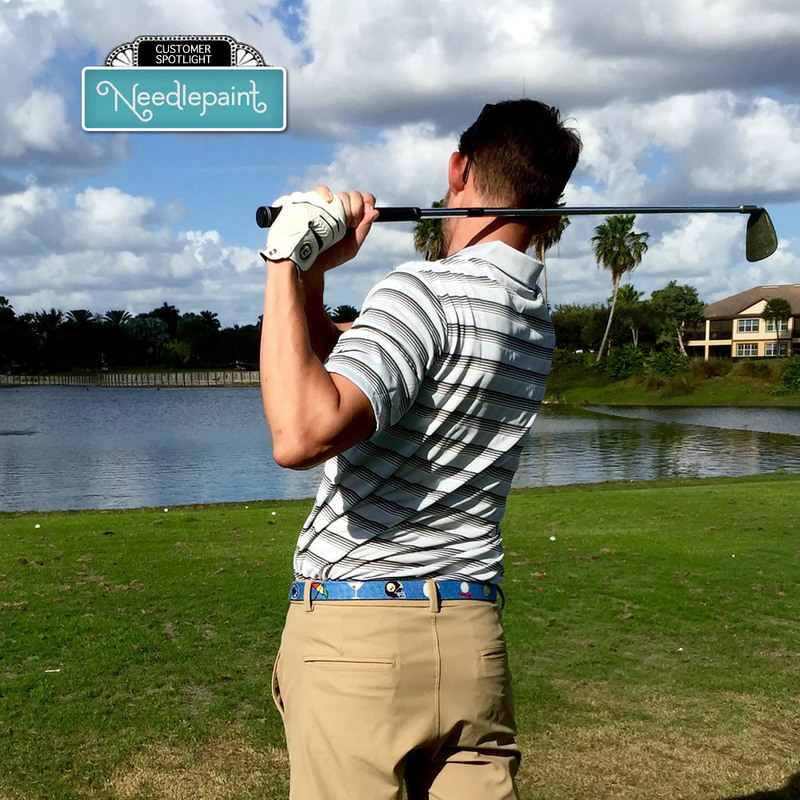 We have a 100% satisfaction guarantee that you’ll love the design we help you create and the quality of the belt when it is ready. You can see our 5 star rating on Etsy and read more reviews here. Thank you Seth! 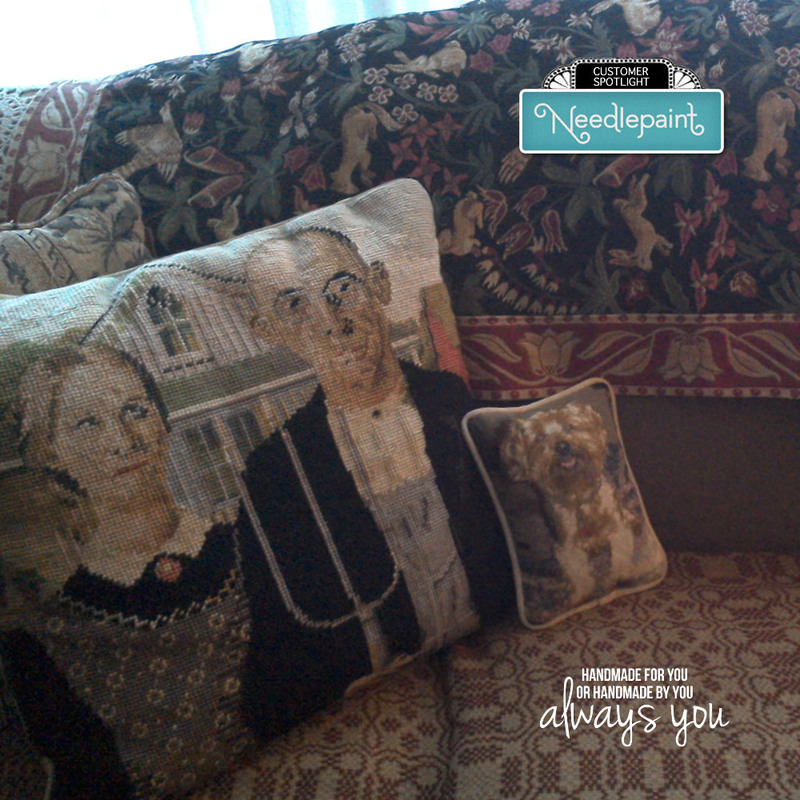 I have told all my friends about needle paint and your amazing customer service! Thank you!!!! !